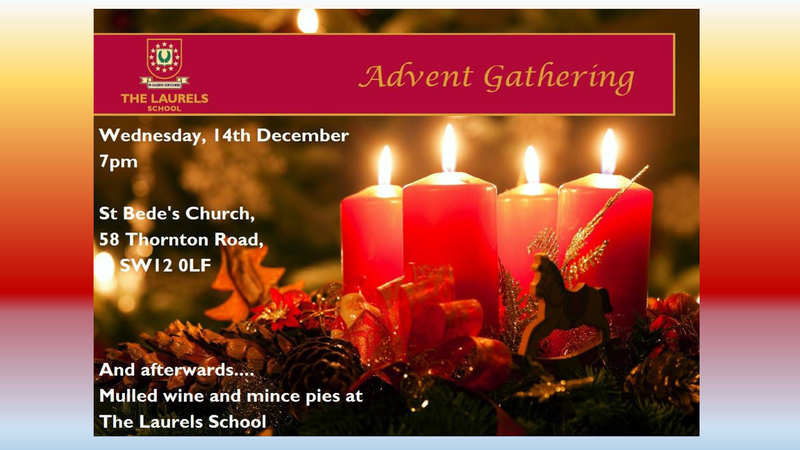 Advent Preachers: we will welcome Fr Behruz Rafat as our final Advent preacher. Fr Andrew Southwell is to return from Rome and will preach for Christmas. Vespers & Benediction: Sundays 5pm during Advent. Come and experience this beautiful combination of the Psalms of David and the ancient chants of the Church. Bazaar Result: Yesterday evening, the Latin American community had their dinner and the totals have not yet come in but we are still confident of a stupendous result and again congratulate you all. Welcome to our First Communicants & their families: There will be short meeting after the 9.30 Mass today and the programmes & textbooks will be handed out. The first Communion class will take place on Sunday 15th January, and the First Communion Mass will be Sunday 11th June 2017. After the Gospel: Alma Redemptoris Mater (Palestrina). Message for our Gift Aiders via Bank Standing Order: Marie Chang, our Gift Aid Co-Ordinator has asked that those who give directly by Standing Order, to please put your Christmas Offerings in an envelope and write your gift aid number on it. If you don’t know your number, you can contact her directly to find out. Christmas Day Masses: Morning Masses as usual - 8am, 9.30am & 11am Latin. Goodbye to David & Katie Hunt who have lived in the old St Bede’s caretaker’s cottage for the past 2 and half years. In this time we have been privileged to welcome their two new arrivals Felicity and Theresa. They are moving to Orpington and from there they will join the Latin Mass community in Chislehurst. Volunteers to run Repository on Sundays: We need some volunteers who can run the Repository between the 9.30 & 11am Masses on Sundays. If you would like to volunteer – please see Fr CB or LH today. Parish Diaries: are now available to purchase. They cost £1.50 each. Diocesan directories should be here next weekend. Guitarist for hire: Giuseppe Bianco is available for tuition, gigs (private events & clubs), arranger and studio sessions. He can be contact at giuseppebianco85@gmail.com or 07401 255 796.